THE IECO Green Warriors’ stint in the Terrific 12 Asia League in Macau is just the first phase in a grand plan. A strong finish in the Macau tournament slated Sept. 18 to 23 can set the stage for their bid to join the Asean Basketball League’s coming season with a franchise to be jointly owned by Blackwater’s Dioceldo Sy and boxing great Manny Pacquiao. Reached by SPIN.ph, Sy confirmed there are ongoing talks of a collaboration between him and Pacquiao about bankrolling the team should the ABL approve IECO as the second club to represent the Philippines in the regional league after reigning champion Alab Pilipinas. “I’m still thinking but we’re already talking about it. Manny is looking forward to it. Alam naman natin na outside of boxing, basketball ang isa rin sa paborito niya,” said Sy on Tuesday. Two-time world champion Gerry Peñalosa is the one standing as middle man for both parties as the boxer-turned promoter is a close friend of both Pacquiao and Sy. Pacquiao and Sy go a long way back, with Sy once tapping the eight-time world division champion as strength and conditioning coach to Asi Taulava when the Fil-Tongan center was still a budding star player of Blu Detergent team in the defunct Philippine Basketball League (PBL). As a rising star back then, Pacquiao likewise served as official endorser of Shark Energy Drink, which was being distributed back then by Sy, the Ever Bilena CEO who owns the Blackwater franchise in the PBA. Just last year, the two forged a promotional partnership staging major professional boxing fights in China and other parts of Asia. “Hopefully, we’ll be able to seal another partnership,” said Sy of the 39-year-old Filipino senator. Sy said IECO already sent a franchise application to the ABL through chief operating officer (COO) Jericho Ilagan. “We’re just waiting for formal terms of engagement,” said Sy. Ariel Vanguardia, who will be calling the shots for IECO – an incinerator-waste management business – has also sought the endorsement of his former bosses with the Westports KL Dragons, to help the franchise's ABL application. 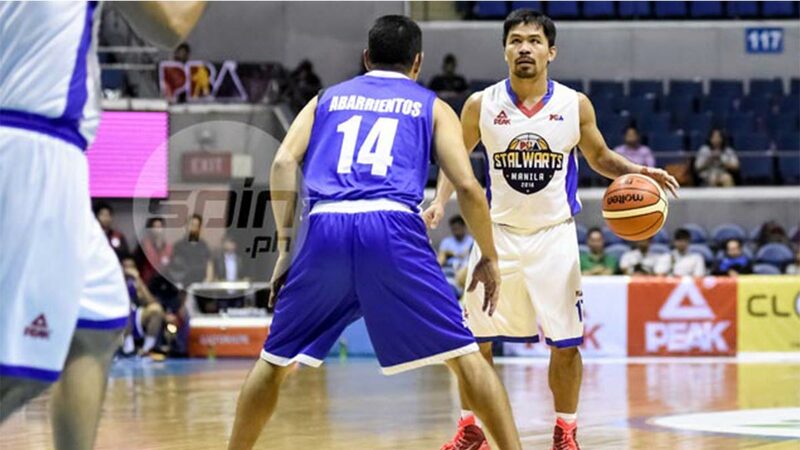 Pacquiao once backed the Powervit Pilipinas Aguilas in the ABL but pulled out his support just a few games into the 2015 season. Sy also didn’t discount the possibility of Pacquiao suiting up for IECO once in a while if and when the franchise is accepted in the ABL. “Manny is looking forward to play,” he said of the former PBA playing-coach, who is also the founder of the fledgling Maharlika Pilipinas Basketball League (MPBL).